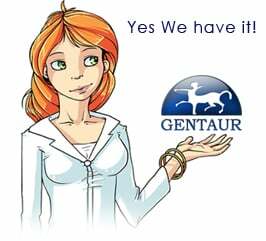 Gentaur antibody-antibodies.com The Marketplace for Antibodies : MiR-134-Mbd3 axis regulates the induction of pluripotency. MiR-134-Mbd3 axis regulates the induction of pluripotency. MicroRNAs (miRNAs) are post-transcriptional modulators of gene expression and play an important role in reprogramming process; however, relatively little is known about the underlying regulatory mechanism of miRNAs on how they epigenetically modulate reprogramming and pluripotency. Here, we report that the expression level of microRNA-134 (miR-134) was low in mouse embryonic stem cells (mESCs) but significantly up-regulated during neural differentiation, while down-regulated during the induction of induced pluripotent stem cells (iPSCs) from neural progenitor cells (NPCs). Inhibition of miR-134 by miR-134 sponge promoted the efficiency of reprogramming which also was highly similar to mESCs. On the contrary, up-regulation of miR-134 repressed iPSCs induction. We also found that inhibition of miR-134 promoted the maturation of pre-iPSCs and increased its pluripotency. We also showed that miR-134 can directly target to the pluripotency related factor Methyl-CpG-binding domain protein 3 (Mdb3) 3' untranslated regions (3' UTR) to down-regulate its expression. And Mbd3 was found to promote the induction of iPSCs and could block the repression of reprogramming caused by overexpression of miR-134. This work revealed the critical function of miR-134-Mbd3 axis on regulating reprogramming and pluripotency of iPSCs derived from the NPCs, and might provide an insight into the miR-134-Mbd3 axis on regulating the iPSCs quality for further clinical treatment.